Enjoy the ‘Cultural Heritage Days 2018’ in Dubrovnik! The City of Dubrovnik has joined many Croatian and European cities in celebrating the European Year of Cultural Heritage in 2018 in a series of events that will be held in September. The programme ‘Days of Cultural Heritage 2018 in Dubrovnik’ was designed so that the rich and diverse programs of cultural institutions in the City of Dubrovnik, as well as those of other partners, are placed under the same roof, while some of them, such as interesting lectures and workshops, have been specially created for this event, in accordance with the goals and topics of the European Year of Cultural Heritage 2018, and according to the Decision of the European Parliament and the Council of the European Union of 17 May 2017. Namely, the main goal of proclaiming the European Year of Cultural Heritage is to raise awareness of the importance and significance of cultural heritage that significantly shapes our identity and everyday life. With 453 sites enrolled, almost half of all sites listed on the UNESCO World Heritage List are located in Europe, and with 89 entries, the EU’s intangible heritage constitutes a quarter of UNESCO’s Representative List of Intangible Cultural Heritage. The Dubrovnik Cultural Symphony Orchestra, Dubrovnik Libraries – Lapad and Mokošica branches, the Dubrovnik Museum of Modern Art, Dubrovnik Museums, the Museum of Natural History, the Linđo Folklore Ensemble, the Marin Držić House, the Marin Držić Theatre, and the Dubrovnik Summer Festival are all participating in the “Days of Cultural Heritage” programs. Furthermore, the Institute for Restoration of Dubrovnik, the Croatian Conservation Institute, the Dubrovnik Architects Society, the association “Everything Else is Music”, the Laus Academy, the Dubrovnik Tourist Board, and Matica Hrvatska – Dubrovnik branch will also contribute programs to the manifestation. Throughout the month of September, people from Dubrovnik and tourists can expect 50 individual events, of which 16 will be music events, including two jazz and one rock concert, while the rest will be devoted to classical music. There will be four exhibitions and five workshops, of which three are intended for children, four presentations, and seven interesting lectures. The central event is certainly the international ‘Best in Heritage’ conference that traditionally takes place in our city. 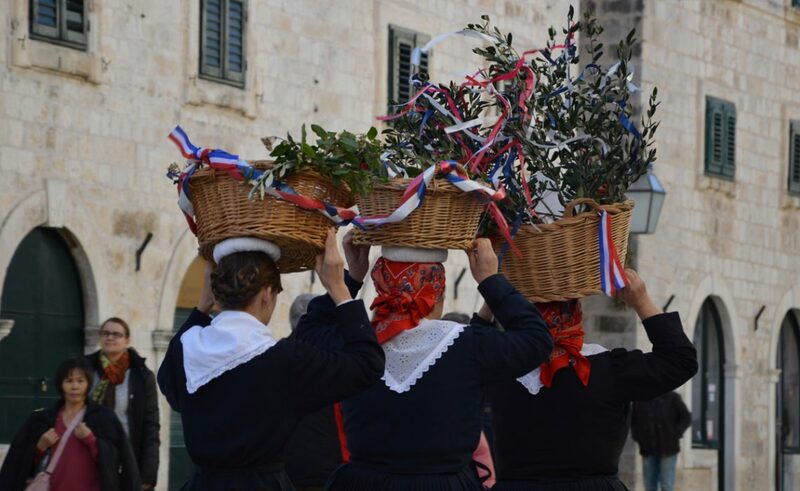 The manifestation ‘Days of Cultural Heritage 2018 in Dubrovnik’ also serves as preparation for three great anniversaries that Dubrovnik expects in 2019. Namely, the City of Dubrovnik will mark the 40th anniversary of the year when the entire historical complex of the Old City center came under UNESCO protection, that is, since it became part of UNESCO’s World Cultural Heritage. The year 2019 is also the 10th anniversary of the inclusion of the Festivity of Saint Blaise on the so-called Representative List of the Intangible Cultural Heritage of Humanity. In addition, marking the 600th anniversary of the erection of Orlando’s Column on March 9th, the City Council of the City of Dubrovnik has proclaimed 2019 as ‘Orlando’s Year’.